Shani Davis remains a model of consistency both in the results column and in his positive mental outlook. 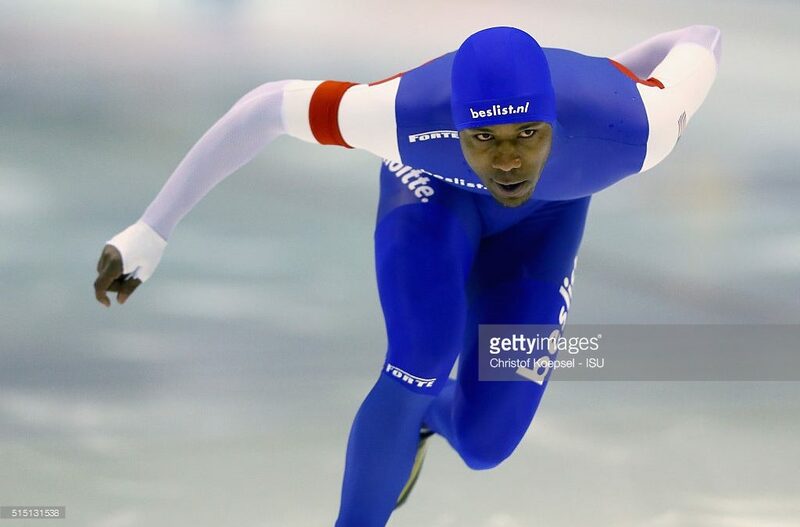 Though he was just off the podium throughout the season – only two bronze medals in eight international events – Davis kept within a few strides of the leaders and was fast enough at age 33 to maintain confidence that better results are ahead of him. SD.org: What were your personal highlights from the past season? SD: This season was an eye opener if nothing else. Since Sochi I think I’ve become somewhat content and comfortable accepting average results. Winning the (2015) World Championships was uplifting, and I tried my best to rise to the occasion again, but I accept my results this year after giving my best. Everything is still possible, so I just have to have the heart to believe in what I’m doing and not accept average when I know I’m still capable of excellent. I was happy to get some medals and okay with some 4ths and 5ths but I know I can do better – and I will do much better! SD.org: What, if anything, will you do differently as you head into the pre-Olympic season next year? SD: Go back to my roots! I think I’ve gotten just a bit away from what made me the best. I remember the days where skating was automatic and I didn’t have to think about it as much as I do now. It starts with training. Right now my priority is to find the most suitable environment so I can be challenged in the right ways and redevelop the automatic stuff that comes from the repetitiveness of training – the right training. SD.org: How was being a part of the Netherlands-based Beslist team? SD: Really enjoyed skating with Beslist! It was refreshing to see the energy those talented younger skaters brought to training. I loved the fact that they looked at me as a senior figure, that they respected me. I learned from them, too, so in return I tried to help them as much as I could. I enjoyed chasing them around as well: they’re super fast only going to get faster. SD.org: How motivated are you to compete in 2018? SD: Well, I’ll be more motivated once I get heading in the right direction again! This year was a transition year for me and i studied what my competitors were bringing to the table. Now it’s my turn to respond and get back within striking distance. It’s all about timing. I have a plan and I want to make sure that before my career is over I have done everything in my power to be competitive and fight the good fight against any challenger. It’s still a ways off, but step by step I know in my heart that I’ll get where I need to be. Why wouldn’t I try to regain my crown and become King Davis III?